A program in Boston is transforming young lives through stringed instruments. City Strings United, a non-profit organization, is teaching children in Boston's Roxbury neighborhood how to play the cello. "Being a young cellist in youth orchestras, depending on the music, it's just so inspiring. It just takes you somewhere else when you're playing music," said founder Bithyah Israel. "What we do at City Strings is we push toward professionalism but we also understand that they're kids. So. A little patient." Israel says growing up in inner city San Diego, she reflected what others expected of her. "I wanted to help change that by offering something regardless of the price of it and just make it possible so that kids can see they can do it," she said. Israel started out as City Strings' sole cello teacher in 2012 with 14 students. The group is now 30 musicians strong, ranging from ages 3 to 15 with several volunteer teachers and instruments rented with the help of donors. Jahsias Rivers, a fifth grader, has been taking lessons from the beginning. 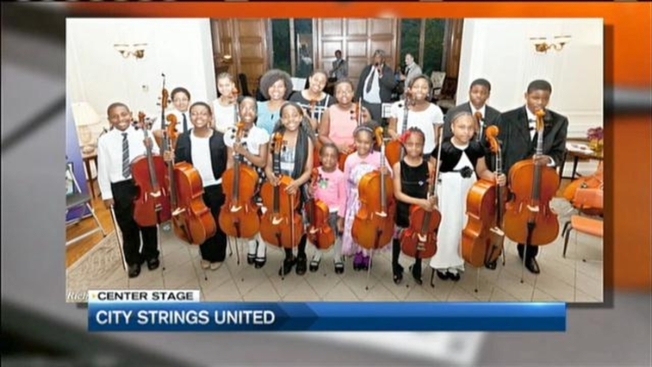 "I'm proud of myself for me keep on playing the cello over two years and a half," Jahsias told NECN. It takes a lot of time and dedication, of course. But when you nail that piece? "It's like, ah, I did it finally after all that hard work spending on perfecting it and making the sounds come out the way I want it to," said student Alexia Martinez. Now, these musicians are getting to play with the big guys: Saxophonist Walter Beasley and Grammy winner Terri Lyne Carrington. "I really see a brightness with our students," Israel said. "It's hard to put it into words, but I feel like our program has really inspired the kids and the parents." City Strings has a community of volunteers who help run the program, including students from Berklee College of Music and a board of directors. The group is looking for partnerships and sponsorships. If you're interested in donating, click here.